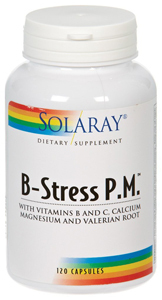 Featuring the nutrients your body uses up quickly with stress plus relaxing herbs. Great for bedtime or daytime use. With B Vitamins, Vitamin C, Calcium, Magnesium and Valerian Root.